Many believe you can find the mythical ruins of Atlantis buried underneath the sea around Santorini—and that the now tourist hot-spot was once actually known as the fabeled location many explorers seek. The two destinations' stories are strangely similar—Santorini was ruined by a series of eruptions thousands of years ago. Atlantis supposedly sunk deep under the sea after its people angered the gods. 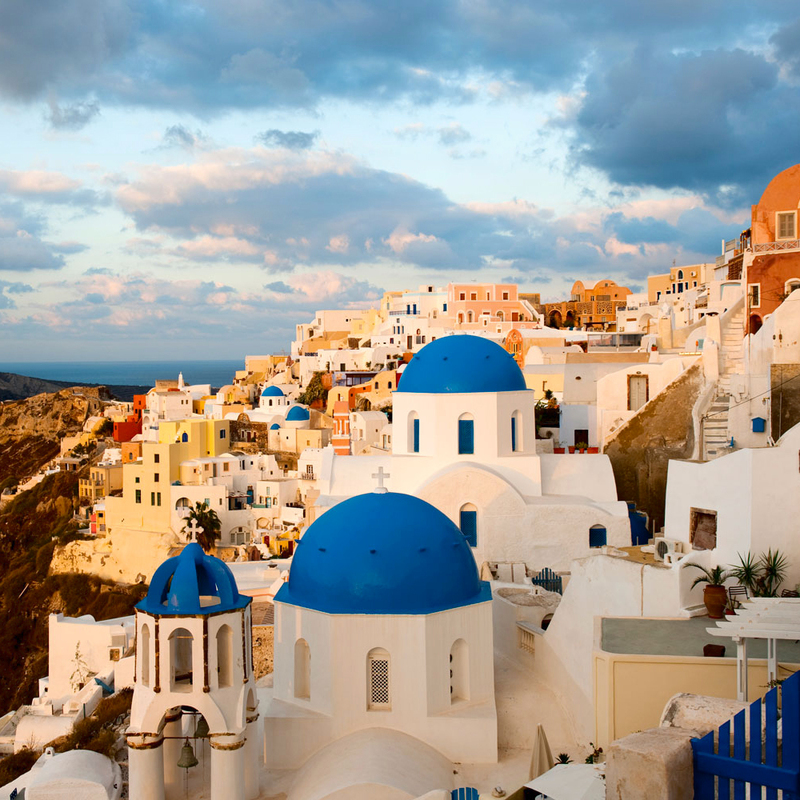 No matter where your belief lies, you can find your "paradise lost" in Santorini. Santorini is full of stairs—there isn't a better construction that can withstand the test of time and get vsitiors to the hotels with the best views. Travel blogger Suzy Guese shared a personal experience on the island over on her website, sharing that "By the time I finally reached my room, I wanted to collapse." She went on to explain that many of the hotels send guests to a tourist center at the base of the island, who will call upon your arrival and requests carriers to come through and help with your bags. Pro tip: Factor in a couple of hours for actually getting up to your hotel. Teh volcanic landscape offers an interesting environment for agriculture, and their local wine is known around the world for its unique taste. The land on Santorini is called "aspa," and is made up of volcanic ash, pumice stone, and small pieces of solidified sand and lava. This combination leaves out most of the nutrients we're used to expecting in soil, but is rich in minerals. Rainfall is very minimal, making these wines relatively hard to get. Aside from rain, growing areas receive moisture from a strange phenomenon called sea fog—a mix of air from the active volcano and the surrounding area. Well, they may not be entirely secret considering the entire island is a volcanic rock, but they aren't as well known as Iceland's hot spring lagoons, that's for sure. You'll know when you're swimming into the island's warmer waters by the color change—the vibrant blue turns to a murky brown.